My grandmother lived as a resident of Savannah Commons for over 4 years. She began in the Independent Living section, and as time went on, moved to Assisted Living and then eventually Memory Care. My family and I visited Savannah Commons often and even stayed overnight in their "family" apartments (which are furnished apartments that you rent like a hotel room). The rooms are great and meant we could spend even more time visiting my grandmother, since we stayed on-site. The staff is simply amazing - so kind, so loving, and very welcoming to family and friends who visit the residents at Savannah Commons. They always greeted us and my grandmother with a smile! As my grandmother became more elderly, she needed more care, and the staff really stepped up to meet her needs. The nurses and hospice nurses are all very informed, ready to assist, and it's clear they enjoy their job. I'm so thankful my Nan had this incredible community and staff in her final years. My mother in law has been at Savannah Commons since April. She loves her apartment and admitted to us that the food is so good she needs to go on a diet. As Hurricane Irma is threatening, Cema recommended evacuation and although she is fairly independent, felt she could not tolerate a bus ride even to Myrtle Beach! I listened to their instructions and knew instantly they were putting all residents first in this huge undertaking. She is hoping they return quickly even though she is with us, she already misses her place and new found family! We are so happy she feels that way!! My daughter is completing community service hours at Savannah Commons. She has thoroughly enjoyed her experience with the staff and residents. During the recent hurricane CEMA recommended that the residents stay in place for their safety. The staff at Savannah Commons immediately implemented a plan where staff and staff family members would stay on site and assist residents in any way possible. Their executive director, Joyce Crowder-McBride went above and beyond her normal obligations to make sure that her residents and staff were equipped to handle any challenges they may face during the storm. Savannah Commons is definitely a community I would recommend to my friends and family. Not only do they have spacious apartments, fun filled activities and convenient transportation...but they also have delicious food!! You can count on your loved one being treated like family at Savannah Commons! You might be interested to hear from someone who has a mother who has been at this facility for 3 years now who has moved from independent living (two years) to assisted living (one year), The most important message I have for you is that management, and the nursing staff, bend over backward to help their residents and families deal with issues that pop up, whether it's a financial, medical, or other difficult issue such as understanding and coping with dementia. This team has seen a lot, which is true of the staff at many similar facilities. They have extensive knowledge and experience about all kinds of situations that arise with the elderly. They had ready solutions to problems we didn't even anticipate. But I just did not expect to have this level of human caring for our needs. Several times we have been concerned about a change in my mom. We've dropped an email to the executive director, and she's gotten on the phone with us very rapidly. And she just listens and talks us through what's going on. My mom thinks of the staff at Savannah Commons as family. Maybe that's expected. But for me, what's even more telling is that now, my husband and I and the other siblings think of the SC staff, especially the director and the head of nursing, as family too. They have just been there for us, through good times and not so good. Savannah Commons management made the transition for my mom to assisted living so easy. The facility, Savannah Springs, is even more beautiful than the last and has a lovely courtyard filled with plants, flowers, walkways and a gazebo to provide shade. The common areas are large and beautifully decorated and sometimes you will catch residents themselves playing the piano that's in the living room. The facility is all on one level which makes it easy for the residents to navigate. And they hired a new chef who is awesome! We have eaten there multiple times and the food is really, really good. My mother often comments on how beautiful the paintings are that they have displayed throughout the facility, and how beautiful the place looks on the outside of the building as well. My husband and I have visited there at different times, day and night, weekdays and weekends, and the shifts happen seamlessly with all nurses having the latest information for medication and other changes my mother has required. We have complete confidence in this facility and we can't say enough good things about it!! You will love it there as well, we are sure! We visited Savannah Commons, which looked like a hotel. It was really great. They had a two-bedroom apartment, but it was too small. They had great planned activities and a nice dining room where they served food three times a day, but you have the option to have two meals a day. Everybody was really nice. I like Savannah Commons. The people are friendly, it’s warm. and clean. It doesn’t have an old people smell to it, and the people that I interacted with- the residents and the people who were in charge- were friendly, and helpful. I just feel that it might be a good fit for my brother. We were not really impressed with Savannah Commons. The staff was great, but we weren't really thrilled with the facilities that were available. The rooms were small and very clinical looking. All of the bathrooms had rails but were very small. Savannah Commons is not really what we were looking for, as far as facilities and social activities are concerned, for my mother. It was like an apartment building; my mother gets very confused and lost, so it was not what we were looking for due to the multiple stories and elevators. I chose to do my internship at Savannah Commons and enjoyed it very much. I had to 140 hours to complete my Gerontology certification and everyone was genuinely nice. The staff remained really engaged in the residents and always addressed the residents on a first name basis unless informed not to do so. It was a family oriented environment. My mom is at Savannah Commons and so far she is doing well in that place. It’s been a month since she's there. She has dementia and the staff works well with her. She is adjusting very well. We are satisfied and really impressed with their efforts to ensure the safety and the comfort of their residents. I had been at Savannah Commons for luncheons several times. They have a monthly lunch and learn, and those were very nice. However, when we looked at the apartments, we turned it down quickly. Their apartments showed mold. We are blessed to have my 75 year old mother living at Savannah Commons. I can't say enough about how pleased we are with Savannah Commons. The buildings are clean, well-maintained, and are equipped to house a range of care levels-from independent, to assisted and memory.care. The staff at Savannah Commons (from the receptionists to the management, to their nurses, janitorial, and dining staff.) are friendly, helpful and attentive to the residents' needs, care, and safety. From the minute you walk in, you know that the staff truly cares about their residents. This responsive climate is directly fostered by the Commons manager, Joyce,whose heart is 110% into providing the best environment and care for her residents. Savannah Commons has gone above and beyond to make sure that my mother is well taken care of. I would recommend this community to anyone looking for a retirement place. Thank you, so much, Savannah Commons, for your attention to my mom and her needs, and giving us such a peace of mind!! Savannah Commons was very friendly, but they only offered me a packet and said I could call with questions. I did not get to see any of the facility. The staff was nice, but I just spoke to the person at the desk. My Mom, who is 80, has had an apartment in SC's independent living facility for almost a year. It was difficult at first, coming from her own home, but she has made many new friends and she enjoys the activities, including bingo and movies. To summarize, it has been wonderful for her and now she loves it. I've found the staff to be very, very concerned for the residents. They make the place feel very intimate. Some residents spend more time in their apartments; others get out and about and interact more, taking advantage of more of the activities and so on. So it depends on the person. The Executive Director's philosophy is to help people stay “independent” in as many areas of their lives for as long as possible. So if someone needs an extra service, they try to arrange to provide that service or have it brought in so the person can remain in the independent living facility as long as possible. This has worked very well for Mom, who needs some cognitive help but is really sharp in many areas and is in tip-top shape physically. Mom continues to desire her independence, of course, and it would be a shame to move her into a more assisted environment overall because of one or two issues. I appreciate SC's sensitivity to these issues. The design of the facility naturally sends residents off the elevator in front of the front desk whenever they go to meals, many of the activities, etc. This puts the staff's eyes on them multiple times each day, and the staff can be alert for signs of physical problems and memory/dementia issues and so on, very naturally. As the Executive Director said to me, “If someone has lived here for awhile, and they come to the first floor for dinner and turn right instead of left, that tells us something.” The staff go to continuing education to learn about these issues and what to look for. The staff all know my mom by name and I have come to know many of them as well just through our visits. Mom loves this place. It has a slightly gentile/Old South feel to it, in a very caring way. This Northerner really appreciates that! I can tell the staff love the residents and would do anything possible to help them, from the heart, if you know what I mean. The grounds may not be the most beautiful; there’s not as much natural walking space, which has always been important to my Mom. But as she says, “I can walk in the halls and in the parking lot. What matters to me are the people.” Amen, Mom. The staff was very accommodating and seemed very well informed at Savannah Commons. The rooms were nice and very clean, but they were not as nice as the others. I don't really have any complaints about them except that I didn't really like the facility. It's multi-storied and there's not a lot of space outside for residents get some sunshine. It's in a very small piece of land with very little exterior space. We did try the food. It was not exceptional, but it was certainly more than passable. I guess I like the general layout of each floors. They had large open areas to easy accommodate wheelchairs without any problem. I didn't see quite as much evidence of activities there. But they did have a movie room. One of the common areas on each floor was use for crafts and wheelchair exercises. They didn't have a lot of dedicated space for individual things, but they had a lot of common space that they use for scheduled activities. My mother has been living in Savannah Commons since May. She has an apartment with a very small kitchen, a large bathroom, and a medium size living room and bedroom. I liked that the apartment faced the courtyard, and she liked to watch the birds and the flowers blooming. The staff is very friendly. They have trips, they take them to different places for lunch or to different events and shopping. They play bingo and have daily exercises. People also come in to entertain them. The dining room is very pleasant, but mother complains about the food. Savannah Commons has an open door policy. If any of our residents or residents families believe that an error has incurred to please come see us and we will be happy to assist. Savannah Commons was a very nice and clean facility. It didn't have the hominess but it was adequate. They had card games and crafts when we were there for the tour. My grandmother had a wonderful time staying here, at least that is what she always told the family. The rent was not cheap, as I recall, but it was worth the price to have her in a secure and friendly place. The staff was always helpful to us when we came to visit and I can not think of an incident where I heard otherwise from any resident. 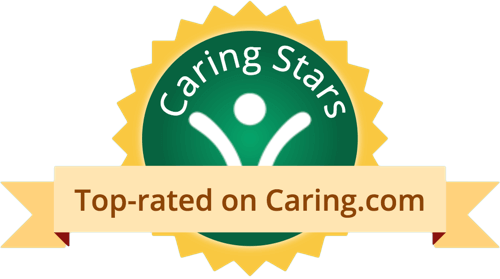 Everyone genuinely seemed happy.I have never visited any other facilities in the Savannah area to compare with so take my review with a grain of salt, but I would not hesitate to suggest this place to anyone looking for assisted-living. The Savannah Commons is a very upscale assisted living home. It has three parts. 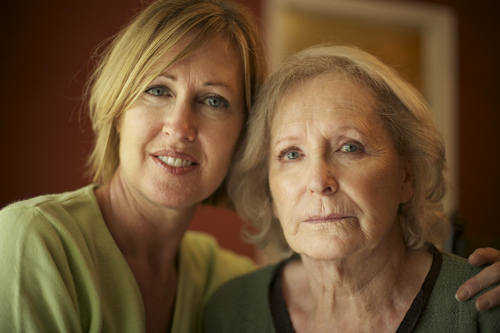 Memory care is for patients with Alzheimer and dementia. There building is in the shape of a circle so that the clients are free to roam within that area. It is very expensive at 4,000 a month. The Assisted Living building is for clients who may need help in certain daily activities. The Independent Living building is for clients who are able to do everything by themselves. Savannah Commons has 24 hour security, gym, arts & craft room, dining room, transportation, among many others. It is truly a gem in which you would want to spend your later years. I visited this facility and noticed that it was nestled in a beautiful picturesque setting in one of the most beautiful cities in the U.S. When I walked into the facility I noticed how beautiful the interior was and the staff was quite friendly and helpful. I arrived at lunch time and noticed how delicious the meal looked and smelled. I noticed the residents were all enjoying their meal. As I toured the facility I noticed a large library and also a computer room. There was ample seating for residents and visitors. They offer studio, one and two bedroom suites and each suite had ample room with a private bath. Also there are guest quarters for family members that come to visit from out of town. There is a large recreation area and lots of arts and crafts offered along with many other activites for the residents. There are also outside walkways for the residents to stroll about and enjoy the fresh air. I visited Savannah Commons. In general, I thought it to be a nice facility in appearance and location. The grounds of the facility are nice. The common areas of the facility are very clean and clutter free. The patientÃ¢â‚¬â„¢s rooms are organized and clean. I think the staff and management to be professional and helpful. During my visit the staff was very willing and ready to answer questions that I had. The residents seem to receive quality care there. I visited during lunch time and all the residents that needed extra care was receiving it. Overall I think Savannah Commons to be a nice facility and would recommend it to anyone seeking assisted living care. I found Savannah Commons last year when looking for a place for my dad to live. He immediately made new friends and felt at home. They had more activities than the average 30 yr old! I always joked that his social life was better than mine. Happy Hour on Fridays, Sunday ice cream socials, music entertainment, field trips, etc. At the time he moved in he was still independent but had many health issues. Living three states away, it was very comforting having such a loving staff looking after my dad. They took him to his doctor appointments and they were always quick to call me when he was not feeling well or acting not quite himself. They treated him with respect and dignity and always spoke with a gentle tone. Eventually he had to be moved to the assisted living side and the staff were so helpful and understanding. They treated my dad and I like we were family and they helped me get through the most difficult times of saying goodbye. I am forever grateful for their service and would recommend Savannah Commons to anyone contemplated moving a loved-one into independent or assisted living care. My mother moved into Savannah Commons in October 2014 in the independent living facility and lived there until her untimely death February 2015. A friend of mine who had a good experience with her own mother living there had recommended it to me, as well as another friend whose mother currently lives in the memory care unit. When I toured the facility prior to her moving in I was very impressed with everything I saw and after moving her into her own apartment I was not disappointed. Everyone there was friendly and did all that they could to help her to acclimate to living in an apartment after over 50 years of being in her own home. The other residents took her in as one of their own and she was invited and encouraged to attend the meals and many activities they offer by residents and staff alike. The building was always clean and inviting at any time I went there and in any area I visited. When I would visit, almost anyone I talked to knew who my mother was by name, and many of the staff knew and recognized me as I entered. Although our original intention to have her live there for many years to come was cut short by her death, I cannot say enough about the time that she did spend there. Her online legacy guest book shows how much the people there cared about her through the comments they all made. I am thankful that in her last few months she was surrounded by friends, residents and staff, that cared so much about her. I love Savannah Commons, but it's just way out of my price range. The staff are wonderful and very friendly. They are always smiling. I looked at one bedroom, and it was nice. The dining room was really great. They give you a menu, and you decide what you want. Savannah Commons is a well run facility is holds the highest standard of excellent with their staff and accommodations. The residents seemed to be happy, alert and are bright. The facility was clean and well decorated. The grounds are nice with a very nice court yard and seating area inside and outside. The dining area looks like a nice Bistro and the offer 3 meals a day. There is a full calendar of activities, such as Bingo, Family fun Day, Concerts, programs, arts and crafts and more. Transportation is offered to Doctors appointments and other outings. The residents were happy and seemed to be engaged with staff and one another. This was the only downside to the area. This place is a great choice to place a loved one if you're looking for clean, well trained staff and great environment for a senior. Savannah seems to never disappoint in their high standards!!! I would place my loved one here very nice place. What should caregivers and potential residents know about Savannah Commons?